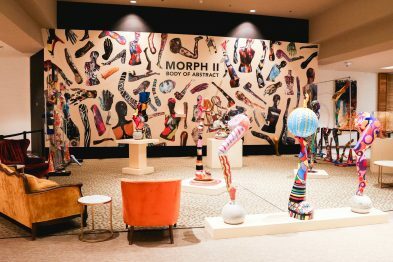 MORPH II introduces a remarkable sculpture experience through a team-built exhibition of dynamic proportions. The exhibit is built on the imagination of 25 abstract artists’ sculptural re-purpose of by-gone mannequin pieces. Each piece was painted independently by an artist and the sculptural groupings were created when the painted pieces were reunited. The “sum of the abstract mannequin parts” creates a juxtaposition to the traditional use of mannequins; and promotes a dialogue on the vast cultural norms of body and beauty. West Acres Regional Showcase reflects a carefully chosen selection of local and regional artwork and limited-time displays that enhance the West Acres experience for shoppers and visitors. 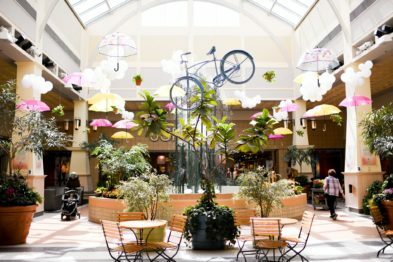 Each of the Mall’s five Courts reflects a permanent, themed component of Regional Showcase. We also launched our Artist in Residence Program in 2017, which features new artists every few months in an interactive pop-up studio of a local artist. Fargo’s own Roger Maris, baseball’s homerun king, is memorialized in this popular national attraction. 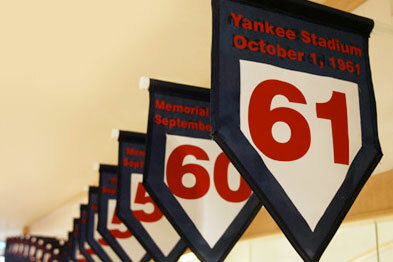 Relive Roger’s life, both on and off the baseball diamond, including his legendary 61 homeruns in 1961, amidst treasured memorabilia. 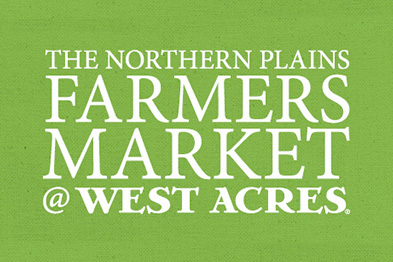 The Northern Plains Botanic Garden Society operates a vibrant market on the property of West Acres from June – October (Tuesdays, Thursdays and Saturdays) that contributes to the success of regional food growers, gardeners, and producers, and supports a healthy and vibrant community, all while serving as a community gathering place. The market features regionally-grown produce, fresh bread, artisanal products, flowers and plants, locally raised meat, fresh roasted nuts and more. 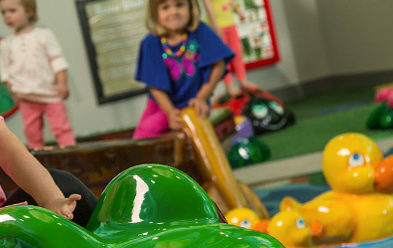 Discover the benefits of play! Kids love getting up close and personal with these bright-colored park-themed elements. The soft-foam material makes them perfect for crawling in and on, with plenty of tunnels to explore and slide through. (Translation: Kids run off some energy in a safe, fun place.) Note: For kids 42″ and under. Location: Food Court. Brought to you by the BCBSND Caring Foundation. 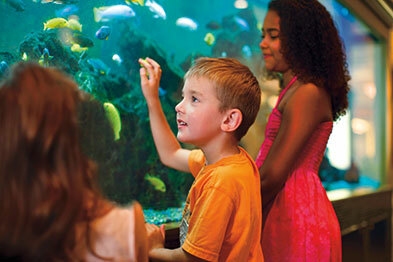 This 1,000-gallon freshwater aquarium is the beautiful home for hundreds of colorful, entertaining African cichlids. See if you can spot all 17 varieties in this expansive tank! The Fountain of Abundance, created by Richard Sykes, is an iconic piece of art that plays backdrop to thousands of photos and memories created at West Acres. Each season, we emphasize its beauty with temporary art installations, created by local businesses and artists. 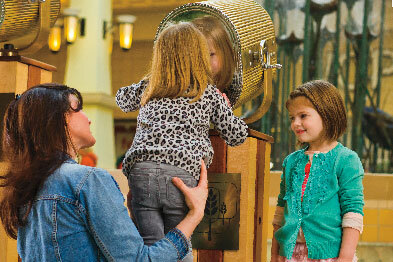 The Fountain is also one of the many ways you can give back to the community through West Acres. All the change collected funds charities and families in need within our community at any given time. Make a wish and make a difference! 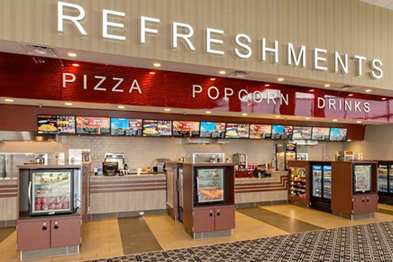 The theatre hosts events from corporate presentations (ideal on the UltraScreen) to unforgettable kids’ birthday parties.